A minor victory for me tonight. I got Google’s Flutter (version 0.9.4 beta) installed with all the bits on macOS Mojave. It would appear that everything is working and working together. 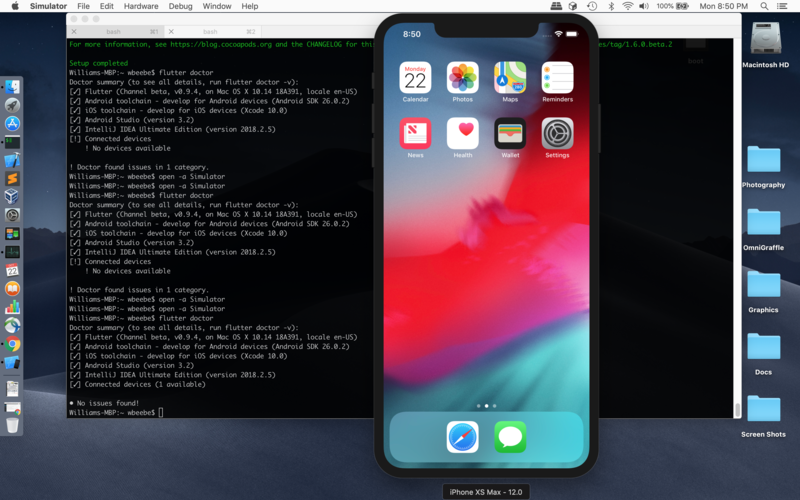 The command ‘flutter doctor’ with the iPhone XS Max simulator running is happy, not having found any problems with all the bits and pieces that make up the totality of Flutter development. Back when Flutter was first announced as ready for prime time, around the version 0.5 beta release, I tried and failed to get everything to work. I let it go for a while as I had plenty to keep me busy IRL. Now, after following the directions at https://flutter.io/setup-macos/, it looks like the tools are more stable and robust and the directions actually work without having to go hunt down why some critical step failed. 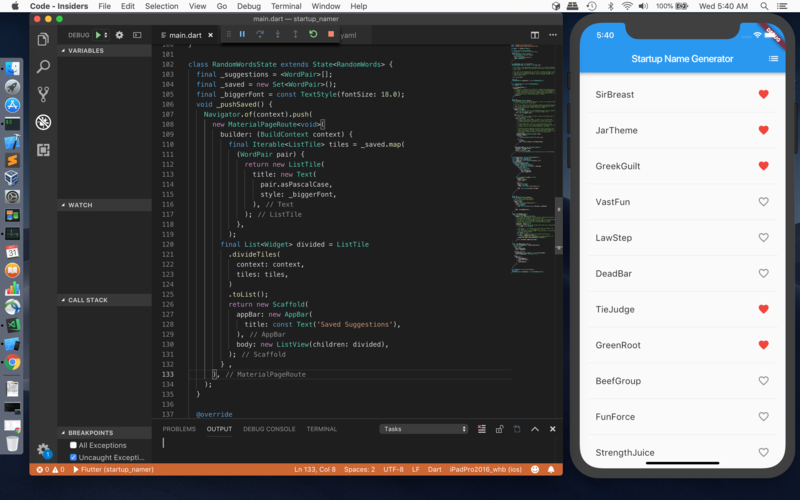 Long term goal is to get back into developing applications across both iOS and Android, but without the crazy idea of having the application look the same on both devices. That just doesn’t work. Flutter developers seem to realize that a Flutter developed app should look like an iOS app on an iPhone and an Android app on an Android phone. And there appears to be a lot more for Flutter to offer an app developer, which I’m interested in investigating. For the time being I’m happy to get this far. Note that I have an iPhone XS Max simulator running on my macOS desktop. This is about as close as I’ll get to the real thing. Hopefully a bit more to come.